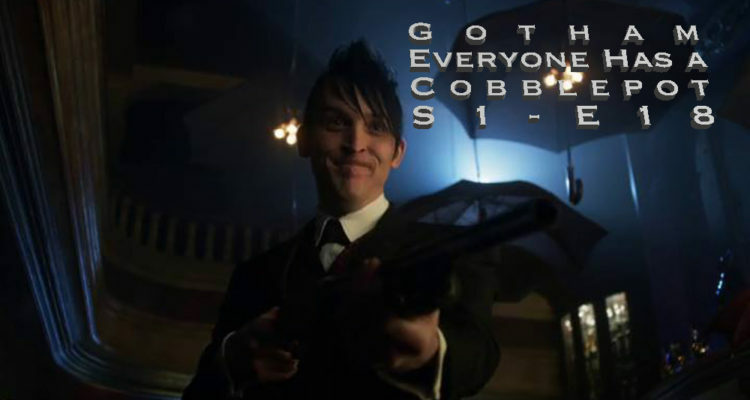 As far as the first season of Gotham goes, Everyone has a Cobblepot has to be one of the worst episodes so far. 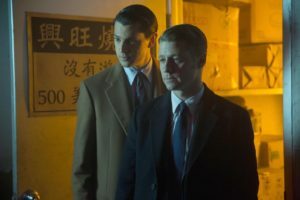 Gotham looses to much of what makes it good when it goes spending to much time with worthless subplots. But when you spend to much time on a Fish Mooney storyline, and have a weak “crime of the week”, then your episode falls into a special kind of crap hole. That crap hole is where we find ourselves with Everyone has a Cobblepot. The “crime of the week” is that the narc cop that Gordon arrested for murder a few episodes back gets released. Gordon finds out that Bullock testified that he fabricated the evidence. 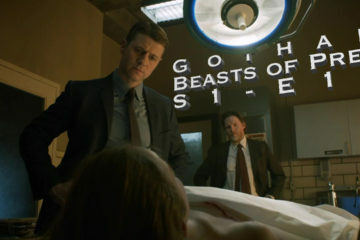 When Gordon confronts Bullock, Bullock tells him that Gordon wasn’t the only GCPD cop who was told to take a crook to the docks and put a bullet in him. 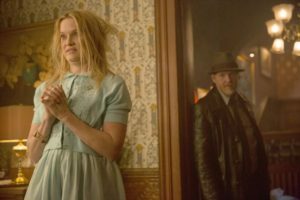 “Everyone has a Cobblepot”, and Bullock’s didn’t come back. The commissioner used that as leverage to get Bullock to testify how he wanted him to. Of coarse, this pisses off Gordon, so he and DA Harvey Dent head out to find out where the crooked Commissioner keeps his files of dirt that he has on all the cops at. After a bad lead sends Gordon and Dent to a trap, Bullock redeems himself by saving the duo, and then proceeds to get them a good lead in a way that only Bullock can. This lead clues them in on the Commissioners pairing with Don Falcone. Bullock suggests that this is a rabbit hole they don’t want to go down, but Gordon is determined. He meets with the Penguin and makes a deal with him to the information on where the Commissioner and Falcone have their secret. Bullock doesn’t like the idea of Gordon owing the Penguin a favor, and the parallel between Gordon owing a crook, and the rest of the cops owing a favor to crooks is apparent. Gordon Bullock and the Penguin go to a farmhouse that the Penguin heard Falcone tell the Commissioner his secret was safe at. 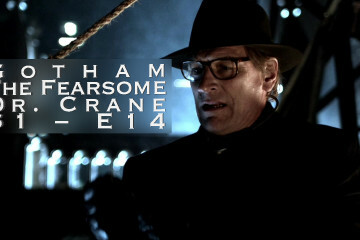 After running a fowl of the guardians of the farmhouse, Gordon finds the Commissioners daughter locked up in the attic. It may not be the files Gordon was after, but it is good leverage. Gordon uses the leverage to negotiate a deal with the Commissioner. The murderous cop goes back to jail, and Gordon gets the Commissioners endorsement for president of the police union. The Commissioner won’t give up his files on the cops, but he does hand over his file on Bullock. Meanwhile, Alfred won’t give up the identity of his friend that stabbed him, but Bruce suspects that he had been paid by the Wayne Enterprises board to find something in Wayne Manor. Bruce feels responsible for what happened to Alfred, and talks with Selina about tracking down Alfred’s old friend. Now back to the annoying part of this episode. Fish Mooney is still alive, and now has a new blue eye to replace the one she gouged out last week. Fish somehow gets on the good side of Dr. Dulmacher, the man running the place where she is prisoner and who we are guessing is the Batman villain “The Dollmaker”. My hopes that this storyline would be tolerable with the addition of Jeffery Combs’ office manager character seem to have been squashed as it seems that Dr. Dulmacher was unhappy with how the office manager handled Fish, and has now transplanted his head onto a womans body. It is revealed that the nice European style estate house that all of this is taking place in seems to be on a very small island in a very big body of water. Hopefully Fish lives up to her name and tries to swim away only to be eaten by sharks.